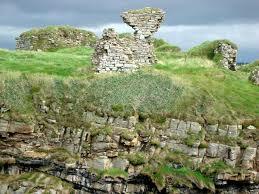 Ruins of Kilbarron Castle at Greeevy. 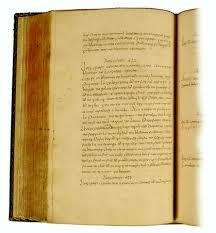 Not much material is available about this scholar apart from his work during the 1600’s. 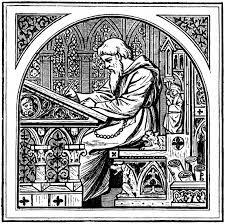 He was a very accomplished Scribe. He deserves to be mentioned and remembered for his work. 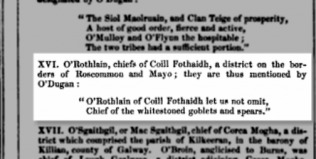 Brother Michael O’ Cléirigh (on leave from the Monastery in Louvain) the noted antiquarian plus poet had an idea that he could produce a new all – encompassing book by collecting ancient vellums of local annals, that would incorporate the reigns, deaths, genealogies of the Irish High Kings plus the provincial kings, distinguished families, chiefs plus men of science, historians etc. From January 22nd 1632 to August 10th 1636 along with Cu Choiridhe O’ Cleirigh, Fearfeasta O Maol Chonais plus the Chief compiler Brother Micheal O’ Cléirigh of Crevy, this project was completed under the Patronage of Feargal O’ Gadha, M.P Coolaire, Co. Sligo. This was a chronicle of Medieval History of Ireland entries from the Deluge 2242 following Creation up to 1676 A.D. written in the Irish Language. 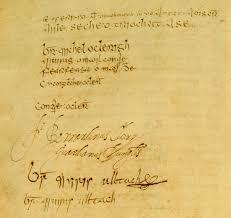 They were written at a Franciscan Friary near the Drownes River, Co. Leitrim initially called the “Annals of the Irish Kingdoms” it became known as “The Annals of the Four Masters.” Two autographical copies were produced; one for Fearghai O’ Gadha plus one for the Franciscan Brotherhood at the Irish College of St. Anthony at Louvain. The four scribes are honoured in a Memorial Bridge over the River Drowes at Mullinaleck in Kinlought, Co. Leitrim. 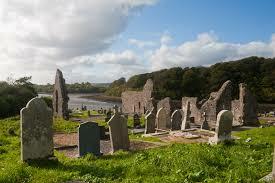 [vi] Their lives are celebrated in the annual O’ Cléirigh School held at Rossknowlagh Friary in Co. Donegal. [vii] In Donegal town they are commemorated with a ten metre high obelisk with their names inscribed that was erected in 1938 at The Diamond. [viii] There is a Cycling Club plus a GAA Club (founded in 1932) named after them.